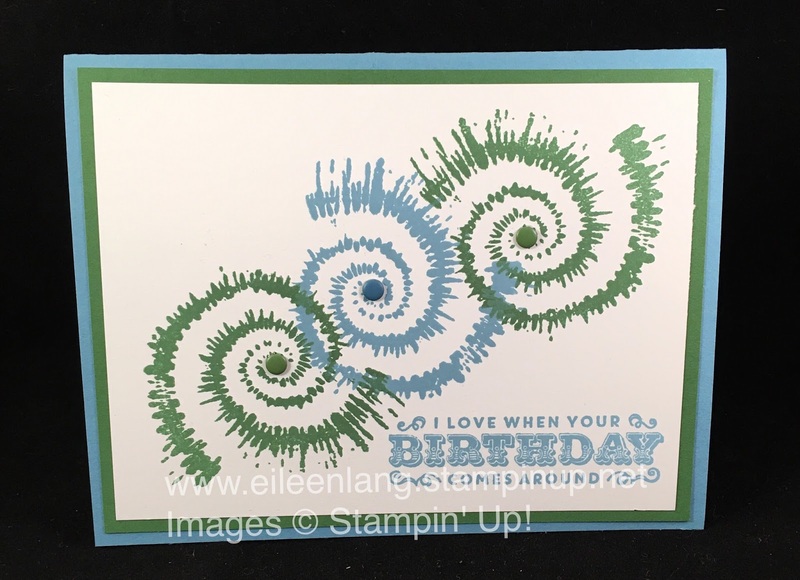 I used the Tie Dyed Stamp Set to make my card design, and paired it up with what I thought was an appropriate sentiment for the inside and outside of the card. 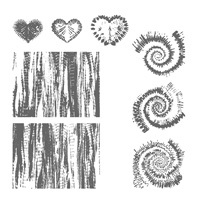 My watermark covers the bottom of the sentiment and it reads - I Love When Your Birthday Comes Around - . 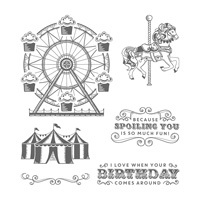 The Sentiments are from the Carousel Birthday Stamp Set and I like when I can interchange stamps sets for different designs. 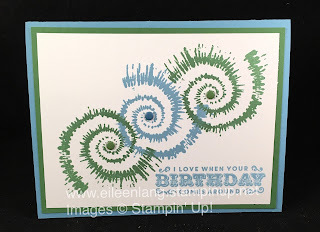 When I saw the round circular tie dyed images I thought these sentiments would work well with this card. I used some retired Candy Dots for the inside of the circles for a bit more embellishment, but pearls, rhinestones or the current Enamel Shapes would look nice too.